This cutting-edge eye cream strengthens, firms and lifts the skin around the entire eye area. This unique formulation utilizes the latest science, combining proven ingredients in a single formulation that can be applied directly to all areas around the eye, including the eyelid, to treat all the common concerns of the aging eye area and achieve dramatic results rapidly. The addition of optical diffusers provides instant brightening, and leaves the eye area fresh and healthy looking directly following application. 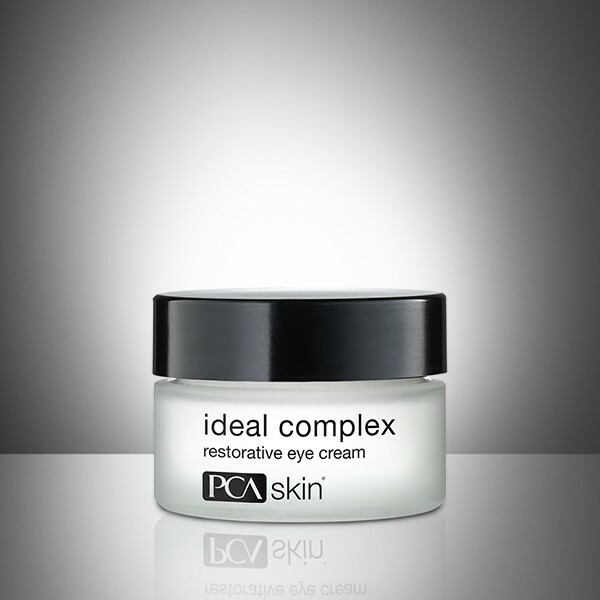 Also formulated in a gel, Ideal Complex® Revitalizing Eye Gel, for those who prefer a lighter texture. After cleansing and applying any PCA SKIN® treatment serums, pat a small amount around the eye area and directly to the eyelid twice daily.